Located just 15 minutes south of Burnsville and one mile west of I-35, Willingers Golf Club is a premier public golf course for daily fee play. The course measures 6,809 yards from the “Tournament” tees with associated slope of 150 and 74.4 rating. Multiple sets of tees, as well as generous fairways, enable golfers of all levels to enjoy the course. Willingers, with its dramatic setting, is challenging yet appealing to a wide cross-section of golfers. 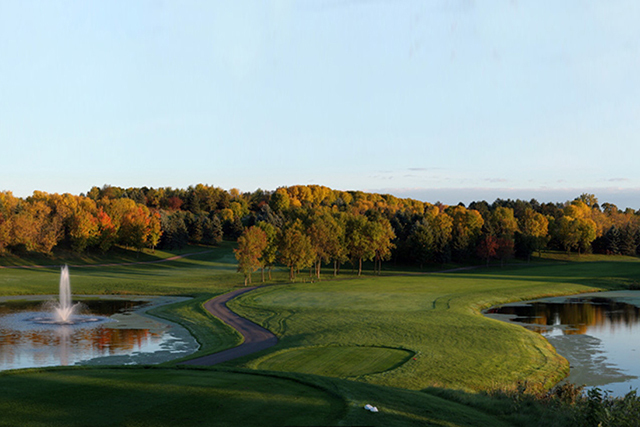 The course is set in pure nature and winds through hundreds of acres of wetlands and timberland.